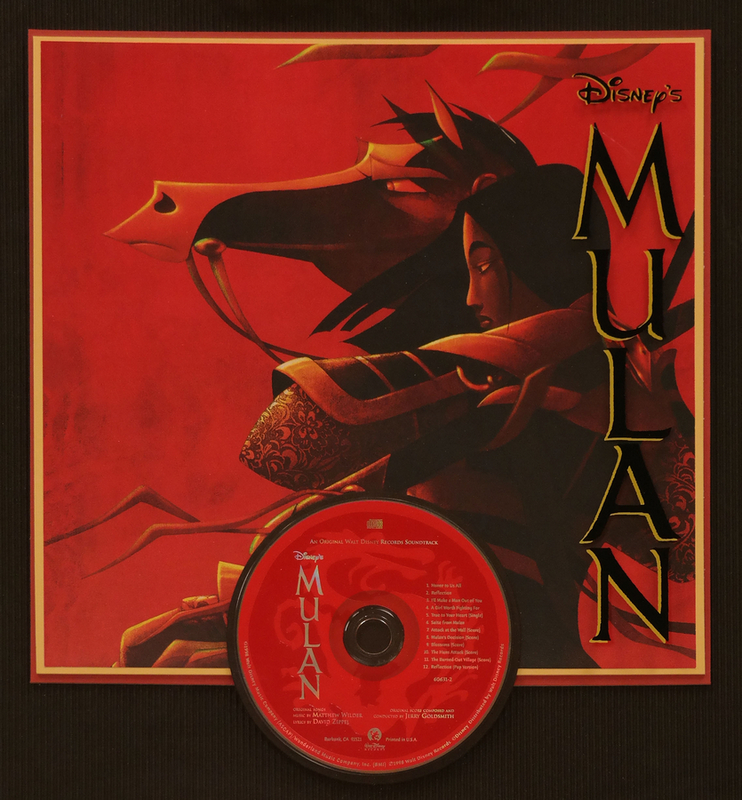 This is platinum sales award for Mulan compact disc and cassette from 1998. 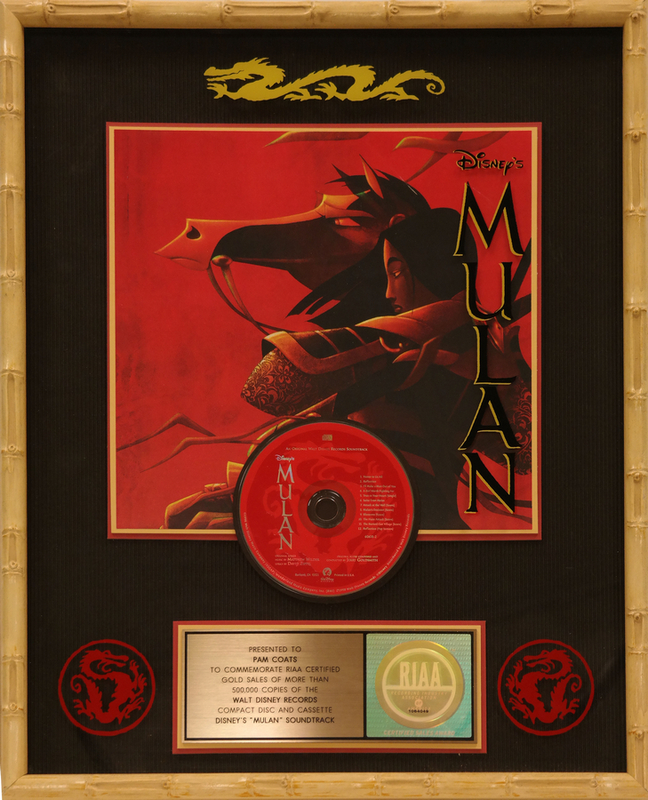 This is an impressive platinum sales award presented by the Recording Industry Association of America to commemorate the sale of over one million copies of the Mulan sound track. The 21" x 17" framed award features graphics inspired by the feature, a compact disc of the soundtrack, and plaque. This piece is in excellent condition.